ISTEP+ is an acronym for Indiana Statewide Testing for Educational Progress-Plus. ISTEP+ which is also simply referred to as ISTEP, is a compulsory annual test from the Indiana Department of Education. The aim of the test is to gauge students’ understanding and mastery of basic critical skills in mathematics, reading and writing. The assessment is aimed at determining student’s capabilities at each grade level before advancing their studies. The subject areas tested include Mathematics, English/Language Arts and Science with students at Grade 4, 6 and 10 undergoing these tests. Students in Grades 5 and 7 students are tested for Social Studies. To adequately prepare for these tests, ISTEP practice from Edulastic is designed to ensure students practice and familiarize themselves with exam formats and questions. ISTEP+ consists of two parts; Part 1 which is usually administered in February and March consists of open ended questions, while Part 2, Multiple Choice and technology enhanced questions is administered from mid-April to May. From 2016-17, the ISTEP+ Grade 10 Mathematics and English/Language Arts tests were introduced to replace Algebra I and English 10 End of Course Assessments that were previously required for students graduating in 2019 and 2020. Every student in Indiana in the 2019 graduating class and onwards must sit for ISTEP+ Grade 10 English/Language Arts and Math Assessment to prove their mastery of Indiana Academic Standards. To pass ISTEP+, which gauges every student’s achievements in line with Indiana Academic Standards, Edulastic ISTEP practice tests are critical for exam preparation. 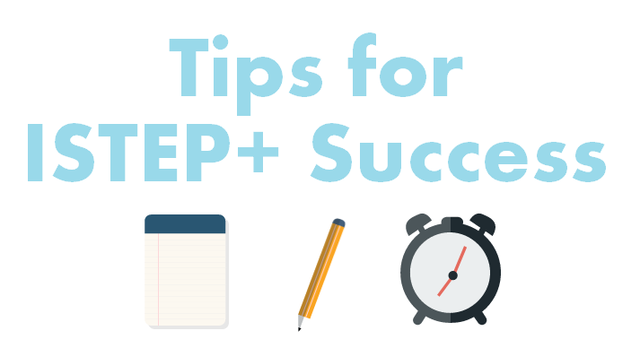 Edulastic ISTEP practice prepares students to familiarize themselves with the exam duration and format. Typically, ISTEP Part 1 and 2 English/Language Arts Assessment takes a total of 3.75 hours, while Math Assessment Part 1 and 2 takes 2 hours. Practice tests on the platform have been designed to match with the main exam. The following are the types of question administered in ISTEP+ tests. Part 1 questions consist of Construed-Response (CR) and Extended-Response (ER) and Writing Prompt/Essay (WP). However, ER questions will no longer be included in Part 1 ELA testing. Part 2 of the ELA Test consists of Multiple-Choice (MC) and Technology-Enhanced (TE) Online only questions. ISTEP practice tests from Edulastic have been designed with the main exam in mind. The time duration and type of questions are administered in line with the format of the official test. Assessments are characterized by short answer questions and free form essay questions which require students to have sufficient keyboard knowledge. Students therefore need to be conversant with keyboard letters, numbers and other key buttons such as space bar, scrolling and delete. Younger students may have challenges understanding how the keyboard works. Therefore, more exposure to typing should be given during class time to make them comfortable with the keyboard. Extra keyboard classes will definitely yield the desired results. Students need to learn how to accomplish various tasks associated with technical questions. Some of the key skills to learn include how to fill boxes on a table, using drop-down menus, drag and drop, use of online calculators and select and de-select among others. Edulastic ISTEP practice sessions have tech-enhanced questions allowing students to use the platform to handle tech-based format questions that included in the official exam. Schools use computers, tablets and ipads or other tech devices to do ISTEP assessments. It is important for students to learn how to use and be familiar with tech devices that will be used during the main assessment. ISTEP practice test offers students the perfect opportunity to interact with gadgets and learn some basic troubleshooting skills as well. The trick is to have students regularly practice using the same gadgets they will use during the official exam. Exams demand students continuously use a computer for a couple of hours. Before official exams, teachers should teach their students how to sit at the computer for extended periods of time in order to successfully complete tests. ISTEP tests cover various subject topics and it’s important for teachers to know what areas they need to cover during the year to effectively prepare students for the exam. For the ISTEP+ English/Literature Arts exam, the focus areas include Reading, Literature, Vocabulary, Writing, as well as Speaking and Listening. ISTEP+ math assessment preparation should cover key topics such as Number Sense, Mathematical Process, Geometry, Linear Equations, Expressions and Computation among others.